McKenna 0762, originally uploaded by harmonweddings.com. I had a blast working with Sarah and the rest of the wedding party. Everyone was such fun and they really supported the couple throughout the day. 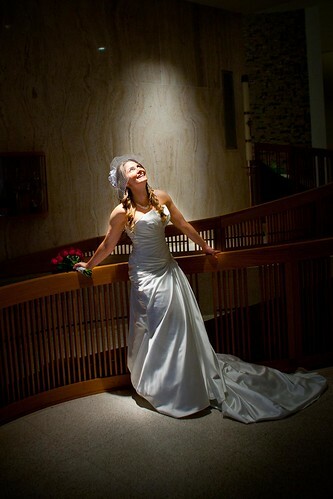 Walking through the sanctuary, Sarah just happened to walk under one of the spotlights which lead to this dramatic shot.